Teddy’s Bigger Burgers welcomes our new location on Maui in the great city of Lahaina. The Maui location has all the great favorites for Teddy’s Bigger Burger that you know and love. We also have our signature mural that showcases some of the local Lahaina landmarks! The community has welcomed the new addition with open arms. The local press has been writing about us including this review on MauiNow.com. Our social media fans have been posting on our wall and Tweeting all about it. 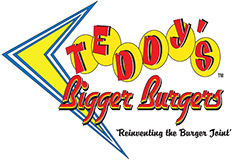 Teddy’s Bigger Burgers is located at the Lahaina Gateway Shopping Center at 335 Keawe Street. Lahaina is the eighth Teddy’s Bigger Burgers location. We also have Japan, Washington State, and five on Oahu in Kailua, University, Aiea, Hawaii Kai, Waikiki.